This beautiful framed print is of the stamp year 2018-2019 and is framed with an actual stamp. 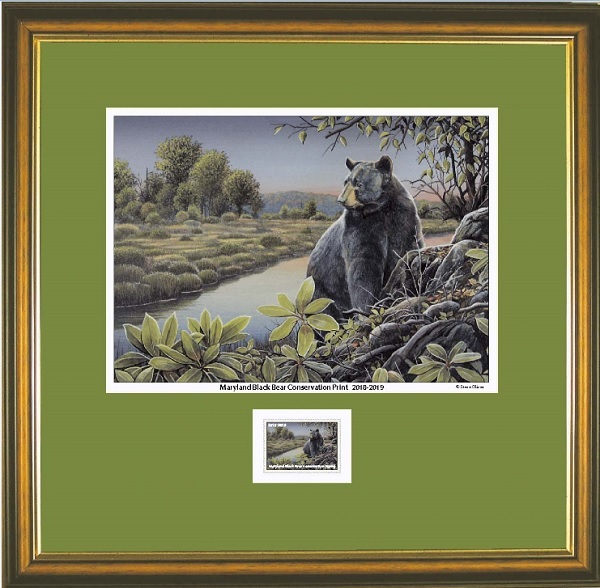 Funds from the sale of this item go directly to the Black Bear Compensation Fund which reimburses landowners who have experience agricultural damage as a result of black bears. Note: The print without frame is the print only- does not include stamp or matting. 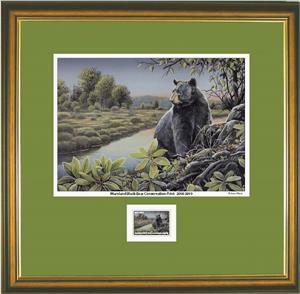 Read more about the Black Bear Conservation Stamp Program.